The popularity of this binding comes from the huge bang that you get for your buck. The binding that put Union on the map is back for another consecutive year. The popularity of this binding comes from the huge bang that you get for your buck. 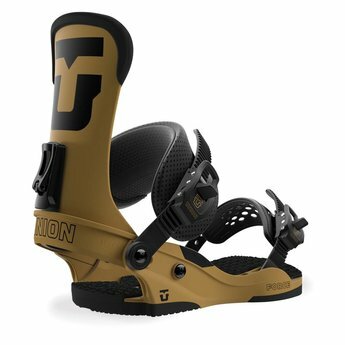 Compared to other bindings in this price category, nothing else stands up. Materials, features, function, and durability are second to none. The SonicFuse straps minimize stitching to increase durability while the magnesium buckles minimize weight. 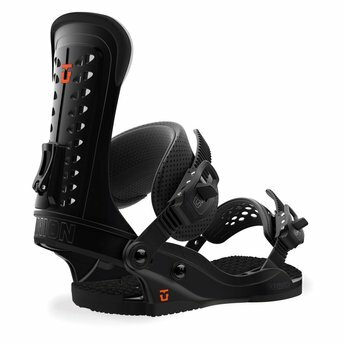 The multizone highbacks provide next level heelside response and board control. Stage IV Duraflex ST Base combined with dual density injected bushings provides high performance response, comfortable dampening, and a true board flex. SonicFuse straps use a multilayer composite fused together to form a single articulated strap component. Multizone highbacks give you flex and tweakability where you want it and support and durability where you need it. Magnesium buckles are four times as strong as aluminum with half the weight.